Click below to find out how Coach Donley’s career stands out and how he continues to make Fort Wayne proud. Fort Wayne, IN (April 28, 2017)—Mad Anthonys is celebrating a big anniversary by announcing longtime local leaders in the world of sports and politics as the recipients of its highest annual honor. State Senator David Long, as well as the Fort Wayne Komets’ six-man ownership team – brothers Steven, Michael, Richard, David and William Franke; as well as Scott Sproat – will be honored as Mad Anthonys 2017 Red Coat recipients. Mad Anthonys will officially recognize the group at its annual Red Coat dinner, sponsored by Frontier Communications, on June 23. It will celebrate its 60th anniversary on June 24 with the charity golf event sponsored by Lutheran Health Network. Long has served in the Indiana State Senate since first being elected to represent district 16 in 1996, and has served as President Pro Tem since 2007. He’s also served as general counsel for Pizza Hut of Fort Wayne, Inc. since 1997, and been an active volunteer with several area organizations, including the Boys & Girls Club of Fort Wayne. The Franke brothers became owners of the Komets at one of the franchise’s most challenging periods and – along with Sprout, who joined the ownership group in 2001 – have helped turn it into one of the most popular and successful minor league franchises in sports. When the previous owners moved the franchise to Albany, NY, in the summer of 1990, the Franke brothers purchased an International Hockey League team based in Flint, MI, and relocated it to Fort Wayne under the Komets name and identity. Since then, the franchise has won six league championships, five regular season titles and earned nine trips to the league finals. The Komets have also been named league Member Club of the Year five times and consistently rank as one of the leaders in minor league pro hockey attendance, averaging more than 7,000 fans per home game over the past 14 seasons. Mad Anthonys will honor Long, Komets owners at the annual Red Coat Dinner on June 23; this year’s Mad Anthonys Charity Classic, presented by Lutheran Health Network, will take place June 24. They join an internationally renowned list of previous Red Coat recipients from the worlds of sports, entertainment and politics, including Neil Armstrong, John Wooden, Bob Knight, Gene Keady, Peyton Manning and Vice President Mike Pence. A full list of Red Coat recipients is available here. 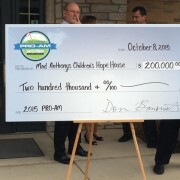 All funds raised by Mad Anthonys Children’s Foundation will support the Mad Anthonys Children’s Hope House. Mad Anthonys has named distinguished businessman and community leader Keith Busse its Red Coat recipient for 2016. Busse is a legend in the steel industry, rising through the ranks at Nucor Corp. before co-founding Fort Wayne-based Steel Dynamics, now the nation’s fourth largest steel company. 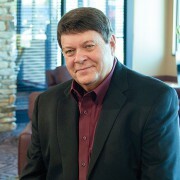 Busse’s entrepreneurial success extends far beyond Steel Dynamics, as he is a founder or early investor in a number of successful local businesses, including Tower Bank (acquired in 2013 by Old National), Hickory Creek Homes, Bridgewater Golf Course, Bill Miller Golf Carts and Freedom Firearms. Indeed, Busse’s philanthropic and community-support efforts are as well known and widespread as his business successes. He’s been involved with a number of local and national charities and nonprofit organizations, including Junior Achievement of Northern Indiana and the National Kidney Foundation, as well as serving on the board of trustees of both the University of St. Francis and Trine University. 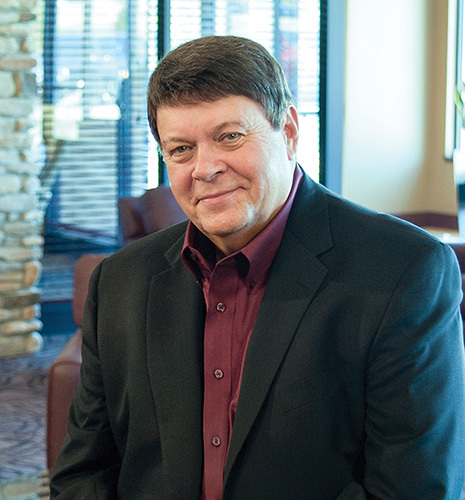 In addition, he’s been a vital supporter of economic-development efforts for the region, serving as a member of the Northeast Indiana Regional Economic Development Partnership and a co-founder of the Regional Chamber of Commerce. Mad Anthonys will honor Busse at the annual Red Coat Dinner on June 10; this year’s Mad Anthonys Charity Classic, presented by Lutheran Health Network, will take place June 11. All funds raised from both events will benefit the Mad Anthonys Children’s Foundation and the Children’s Hope House. Fort Wayne, Indiana– Mad Anthonys Children’s Hope House is pleased to announce that it will hold a ribbon-cutting ceremony for its expanded gift shop operations on Tuesday, January 12, 2015 at 8:30 a.m. at Dupont Hospital, 2520 E. Dupont Road. Your cameras and reporters are welcome. “Since May 2013, we have successfully partnered with Lutheran Hospital in the management of their gift shop operations as a means for financial support. In October we finalized our agreement with Dupont Hospital to manage their gift shop operations as well. All proceeds from both shops support our Home and the families we care for. We feel the gift shop serves as an extension of the respite we provide our families and allows us greater opportunity to drive the financial needs of our Home. Dupont Hospital is unique as it also has a full service Café which serves Firefly Coffee Products,” said Andrew Gritzmaker, Executive Director of the non-profit. A number of local supporters of the house will be present at the ribbon cutting ceremony, including members of the construction company, Shawnee Construction; executives from Dupont Hospital and members of the Mad Anthonys Children’s Charity. “We’re delighted to have so many supporters for our expansion, but our association with the Mad Anthonys Children’s Charity, the continued support of Bruce Dye, and our ongoing partnership with Lutheran Health Network have allowed this opportunity, “commented Mad Anthonys Children’s Hope House Board President and Orthopedic Hospital COO, Lorie Ailor. Firefly Coffee House consulted on all café related items for the build, they are locally owned by Paul and Cyndi Demaree and are located on 3523 North Anthony Blvd. Lutheran and Dupont Hospitals both donate the cost of leasing space, utilities and maintenance for the shops and each shop is supported through hospital based volunteer programs. Mad Anthonys Children’s Hope House is a non-profit hospitality house that provides shelter, meals, laundry facilities and a peaceful refuge for families with children who are critically ill or injured. The house opened in 2003, has ten private bedrooms with private baths, a fully equipped kitchen, pantry, living room, TV lounge, computer room and meditation room. For more information visit www.childrenshopefw.org. Fort Wayne, IN (October 8, 2015)—Leaders from the Mad Anthonys Children’s Foundation presented officials from the Mad Anthonys Children’s Hope House with a check for $200,000 raised through the Mad Anthonys Pro-Am at the Hotel Fitness Championship and the 2015 Red Coat Dinner, which took place September 7 and September 8, respectively. 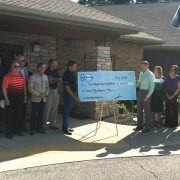 Officials with Mad Anthonys presented the check at an event Thursday morning at the Children’s Hope House on the campus of Lutheran Hospital. This year’s donation of $200,000 to the Hope House brings the cumulative total donated by the Children’s Foundation to almost $2 million in the eight years since the foundation began its partnership with Hope House. 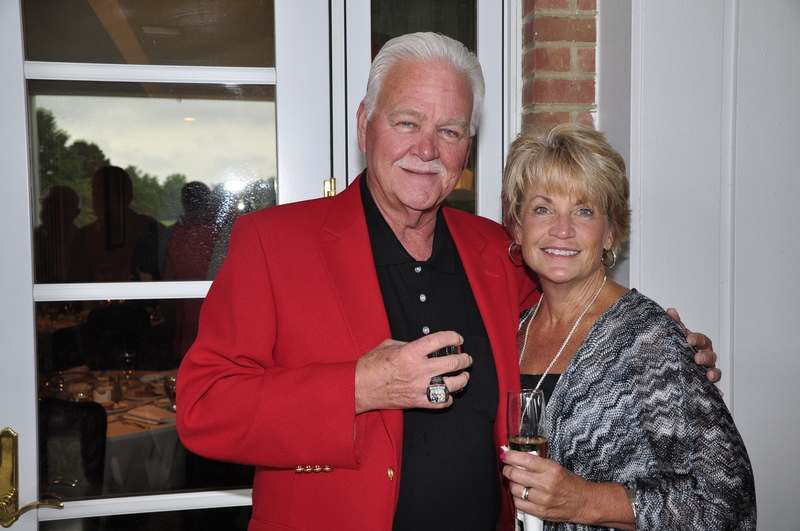 Fort Wayne, IN (August 4, 2015)—Mad Anthonys has named Fort Wayne entrepreneur, community leader and philanthropist Chuck Surack its 2015 Red Coat recipient. Surack is the founder, president and CEO of Fort Wayne-based Sweetwater Sound, the largest online retailer of music instruments and audio gear in the United States. Founded in 1979, Sweetwater now employs more than 900 people at its Fort Wayne headquarters. 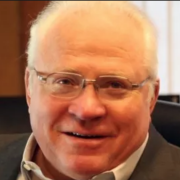 Surack also has founded or invested in several other successful business ventures in Fort Wayne and northeast Indiana, including Longe Optical, SweetCars (luxury auto sales) and Sweet Aviation (flight education and training). Surack is a long-time and committed community leader and philanthropist, playing a prominent role in economic development for Fort Wayne/northeast Indiana while also providing financial and volunteer support to hundreds of nonprofit organizations and cultural institutions throughout the region. In partnership with his wife Lisa, his philanthropic efforts and community involvement have garnered official recognition and numerous awards from local, regional and state institutions. Mad Anthonys will present Surack with the Red Coat at the annual Red Coat dinner on Tuesday, September 8, in Fort Wayne. The Mad Anthonys Pro-Am – which supports the Mad Anthonys Children’s Hope House at Lutheran Hospital – will take place Monday, September 7 as part of the 2015 Hotel Fitness Championship, a Web.com tour event taking place September 9-13. Fort Wayne, IN (October 10, 2014)—Leaders from the Mad Anthonys Children’s Foundation presented officials from the Mad Anthonys Children’s Hope House with a check for $150,000 – the amount the foundation raised through the 2014 Red Coat Dinner and the Mad Anthonys Pro-Am at the Hotel Fitness Championship, which took place August 26 and 27, respectively, at Sycamore Hills Golf Club. 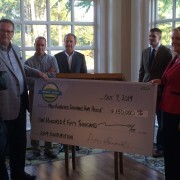 The check presentation took place at an event Thursday evening at Sycamore Hills Golf Club, which hosted the Pro-Am. This year’s donation of $150,000 to the Hope House brings the cumulative total donated by the Children’s Foundation to more than $1.3 million in the seven years since the foundation began its partnership with Hope House.